The Proceedings Supplementary may be filed at any time during the 20 year life of the judgment. A Proceedings Supplementary is not a new lawsuit. Rather the Court will issue a Notice to Appear upon the impleaded third party. The third party must then respond within the time frame set by the Court. No motion practice is permitted in the Proceedings Supplementary, this includes motions to dismiss. 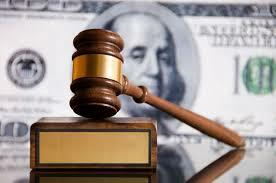 The creditor may compel the debtor to appear in Court and give testimony about their financial affairs. The debtor is entitled to a jury trial on whether the property should be seized and applied to the judgment satisfaction. This is separate from a cause action for fraudulent conveyance. If the judgment creditors wants to sue the third party for the fraudulent conveyance of property held by the debtor, the creditor must file a separate lawsuit. Essentially, 56.29 functions as a discovery mechanism by which the creditor can find the assets of the debtor and seize them without incurring costly clerk’s filing fees for a fraudulent conveyance lawsuit.